I’m sure we all have some amazing women in our lives, women who inspire us, women who work incredibly hard; women who make you want to be the best version of yourself. So this year we tasked ourselves with finding those women, and asked you to nominate your role models for the opportunity to take part in our Modelled by Role Models campaign. Elly is a Canadian born plus size model who promotes body positivity. Anja is a Danish aid worker who left her job in retail to work as a relief worker in Africa. Eliza is an anti-knife and gang culture campaigner who founded the ‘Lives Not Knives’ organization when she was just fourteen years old. Sylwia is an ambassador for disabled people in Poland and has been working with Miss Poland Wheelchair World which will take place in 2017. Emily is a survivor of Neuroblastoma cancer helps children, young adults and parents who have gone through similar experiences. Amy’s House was founded by Jayne’s parents, their granddaughter was born with severe special needs and they saw the difficulties their daughter Jayne faced caring for her daughter. Amy’s House helps parents and carers with disabled children by offering weekend respite with fully qualified staff. Modelled by Role Models has been featured in such publications as Cosmopolitan, LOOK, Drapers and the Daily Mail. Our role model Elly Mayday has also graced the screens of Times Square in New York! To celebrate the launch of our campaign, Panache has hosted the “Find you perfect fit” events in over 400 stores worldwide so far with more to come! As women, we invest in clothing, hair and makeup; however, we frequently overlook our underwear and taking care of our breasts. It is our aim to make every woman deserves to feel beautiful, confident and comfortable. We are so happy with the response from our campaign, to hear people share their experiences and we hope that this inspires other women to have the confidence to achieve their dreams, to be happy and comfortable in their own skin. 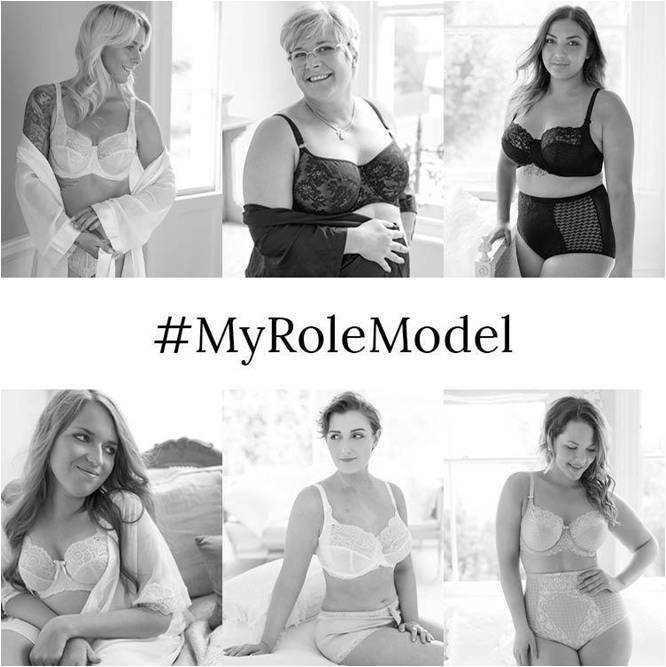 To see more from our Modelled by Role Models campaign, make sure to follow us!